Application:Highly Suitable for :- Cashew Nuts, Almonds, Kurkure, Chiwda, Namkeen, Dry-Fruits, Grains, Tea, Sugar, Seeds Etc. Application:Highly Suitable for :- Kurkure, Chiwda, Namkeen, Dry-Fruits, Grains, Tea, Sugar, Seeds etc. UNIQUE PACKAGING SYSTEMS offers excellent quality tea packing machine best known for its reliability and amazing functionality. Our uniqueness lies in our innovation and quality orientation. The profound infrastructure that we have facilitates us in meeting the entire product requirements timely and effectively. It also facilitates us to provide customization to our complete range of products.Highly Suitable for :- Tea, Kurkure, Namkeen, Snacks, Spices, Salt, Sugar, Pulses, Rice etc. APPLICATIONS:- Highly Suitable for Snacks, Fryums, Popcorn, Grains, Rice, Sugar, Pulses, Bio-fertilizer, Namkeen, Tea, Detergent Powder, Salt and other similar Products. 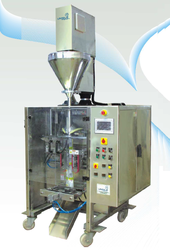 UNIQUE PACKAGING SYSTEMS offer Automatic Horizontal Wrapping Machines for packing of Bread, Rusk, Toast, Muffins, Ice bar/Ice cream Sticks, Biscuits, Gajak, Chikki, Chocolates, Soaps, Toys, Ball Bearing. Highly Suitable for packing of Rusk, Toast, Biscuits, Chocolates, Soaps, Stationary items, Syringes, Ball Bearings, Toys and other Solid Products. UNIQUE PACKAGING SYSTEMS deals in Automatic Food Packaging Machines for Rice, Pulses, Powder, Bio-Fertilizers, Tea, Detergent Power, Spice, Namkeen. Highly suitable for Rice, Pulses, Powder, Bio-Fertilizers, Namkeen, Tea, Detergent Powder, Atta, Spices and other similar products. 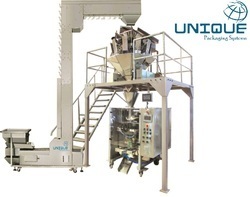 Unique Packaging Systems a leading manufacturer and exporter of a diversified range of Chikki Wrapping Machines. These Chikki packing machines are suitable for various shapes and sizes of Chikkis. Our machines pass through various rigid quality tests which ensures high efficiency of the machine. These Chikki wrapping machines are fabricated using premium quality raw material and sophisticated technology in compliance with international standards. Application:Highly Suitable for :- RICE, Kurkure, Chiwda, Namkeen, Dry-Fruits, Grains, Tea, Sugar, Seeds Etc. 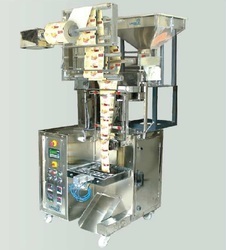 UNIQUE PACKAGING SYSTEMS offers excellent quality Kurkure packing machine best known for its reliability and amazing functionality. Our uniqueness lies in our innovation and quality orientation. The profound infrastructure that we have facilitates us in meeting the entire product requirements timely and effectively. It also facilitates us to provide customization to our complete range of products. Highly Suitable for :- Tea, Kurkure, Namkeen, Snacks, Spices, Salt, Sugar, Pulses, Rice etc. APPLICATIONS:- Highly Suitable for :- Rice, Sugar, Pulses, Bio-fertilizer, Namkeen, Tea, Detergent Powder, Salt and other similar Products. 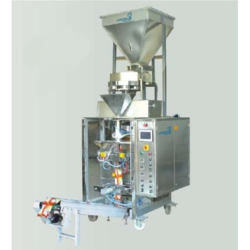 UNIQUE PACKAGING SYSTEMS involved in providing good quality Salt Packing Machine, is known for its reliability and excellent performance. We acquire premium quality components from our vendors and make sure that the machine offers outstanding performance. Precision and accuracy are two main features that make our machines stand out from the rest. Highly Suitable for :- Kurkure, Namkeen, Snacks, Tea Powder, Spices, Salt, Sugar, Pulses, Rice etc. Packing Speed 15 to 50 Pouches / Minutes Approx. 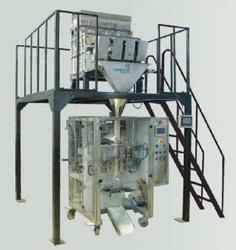 UNIQUE PACKAGING SYSTEMS deals in Automatic Food Packaging Machines for Flour, Powder, Bio-Fertilizers, Spices etc. 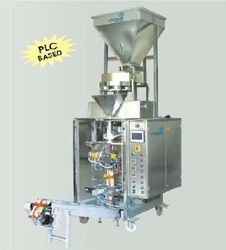 UNIQUE PACKAGING SYSTEMS offers excellent quality Poha Packing Machine best known for its reliability and amazing functionality. Our uniqueness lies in our innovation and quality orientation. The profound infrastructure that we have facilitates us in meeting the entire product requirements timely and effectively. It also facilitates us to provide customization to our complete range of products. Highly Suitable for :- Poha, Whole Spices, Tea,Kurkure, Namkeen, Snacks, Spices, Salt, Sugar, Pulses, Rice etc. UNIQUE PACKAGING SYSTEMS deals in Automatic Food Packaging Machines for Besan, Flour, Rice Powder, Powder, Bio-Fertilizers, Spices etc. UNIQUE PACKAGING SYSTEMS deals in Automatic Food Packaging Machines for Coffee Powder, Besan, Flour, Rice Powder, Powder, Bio-Fertilizers, Spices etc. UNIQUE PACKAGING SYSTEMS a leading manufacturer and exporter of a diversified range of Ice Cream Candy Packing Machines. These Ice Cream packing machines are suitable for various shapes and sizes of Ice Cream Candy. Our machines pass through various rigid quality tests which ensures high efficiency of the machine. These Ice Cream wrapping machines are fabricated using premium quality raw material and sophisticated technology in compliance with international standards. 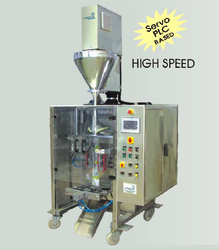 UNIQUE PACKAGING SYSTEMS a leading manufacturer and exporter of a diversified range of Soan Papdi Packing Machines. 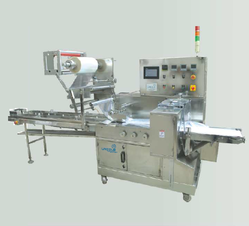 These Soan Papdi packing machines are suitable for various shapes and sizes of Soan Papdi. Our machines pass through various rigid quality tests which ensures high efficiency of the machine. These Soan Papdi wrapping machines are fabricated using premium quality raw material and sophisticated technology in compliance with international standards.